Award winning Harbour Club enclave of executive town homes at Bronte's beautiful harbour. Steps to local shops and trendy restaurants/cafes. 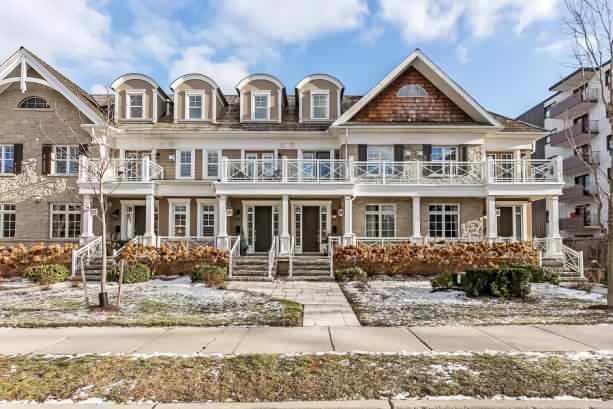 One of the larger town homes in the enclave with three large bedrooms with vaulted ceilings and balconies, 3.1 baths, upper level laundry room, upper level lounge with balcony. A grand, open main floor with high ceilings and meticulous finishes. Large kitchen opens to huge south facing terrace perfect for entertaining. Built-in cabinetry, custom floor-to-ceiling mantle, stainless steel high-end appliances, his and her closets, large six piece master en-suite, hardwood floors and neutral plush carpeting. Finished lower level with garage access. BONUS - this unit comes with four parking spaces! Watch Canada Day fireworks from your balcony, peek-a-boo lake views from south bedroom.